This project started out about five or six years ago and was borne out of reviewing the Tin Ear assembly manual. 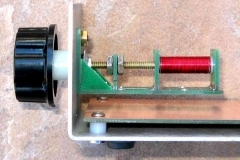 I noticed the PTO (Permeability Tuned Oscillator) VFO was using a soda straw coil form and threaded brass rod as the tuning slug. I was uncomfortable with the idea of the tuning shaft having to move in and out through the front of the chassis as you tuned across the band. I have also seen this on a few other designs. 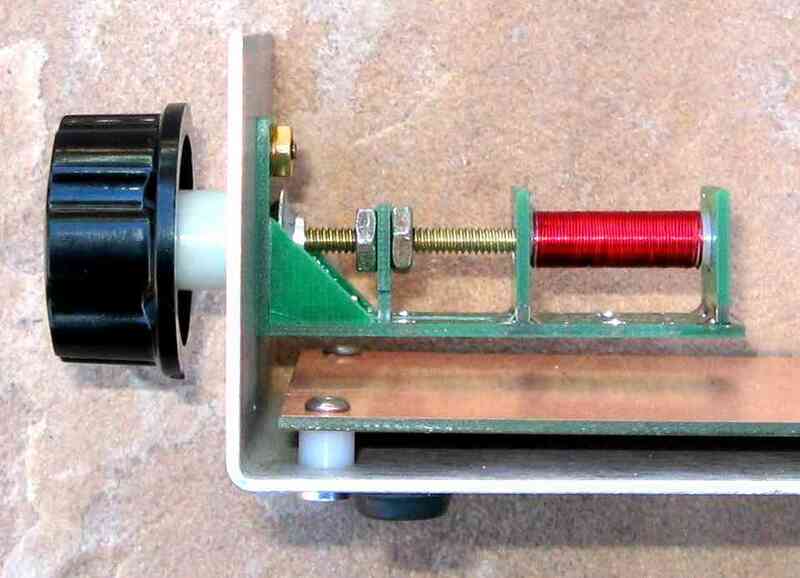 A year or two later I worked on a device that would keep the tuning knob stationary in relation to the front panel, (Z axis), and not have the threaded rod rotate at all, only moving it in and out of the coil form. It worked well but the necessity of machined parts, and overall size made it difficult for the average builder to embrace. Fast forward to recently, and building on the success of designing paddles for QRPGuys out of pcb material, I decided to re-visit the PTO project to see if I could reduce the dependence on machined components, reduce the size, and cost. The goal was to duplicate the action and performance of the original design, and use the fewest components. 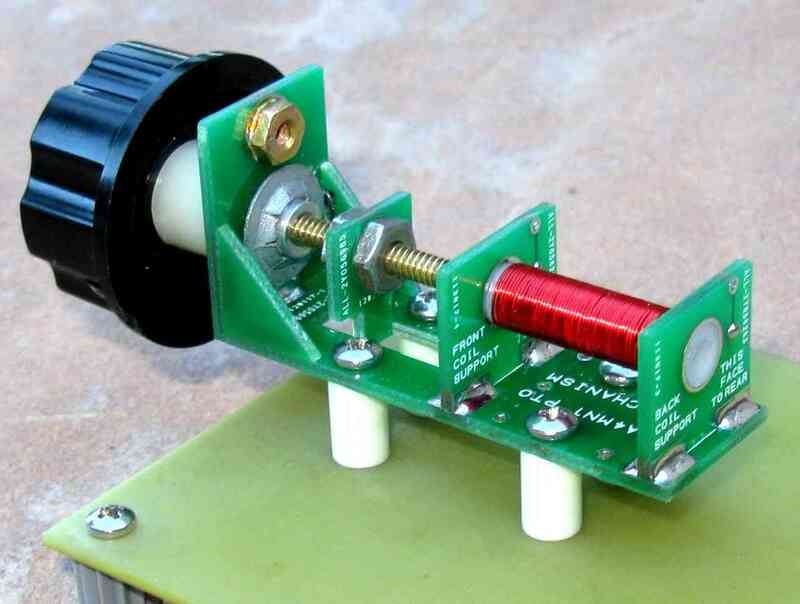 After seeing one, Chuck Adams (K7QO) convinced me to offer it as a complete kit with all the mechanical components, and following the detailed instructions will allow builders to have a stable platform for their VFO projects using this technique. This is only the mechanical portion of a VFO. 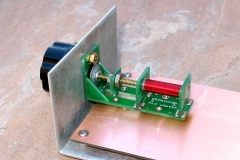 Chuck is pursuing accompanying circuit designs for various applications using this device. He and his contributors’ adventures can be followed on his users group, https://groups.io/g/qrp-tech, and his website, https://www.k7qo.com/. 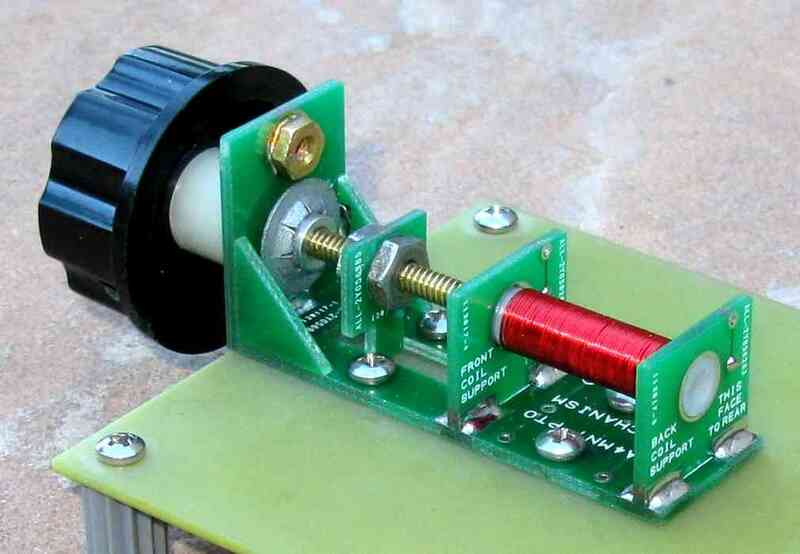 The nylon coil form allows for an inductor with a usable winding of 3/4” long x 1/4” I.D.. Having 32 turns/inch thread on the threaded rod, translates to 24 turns of the tuning knob, varying the inductance in a linear fashion, if the full available coil length is used. 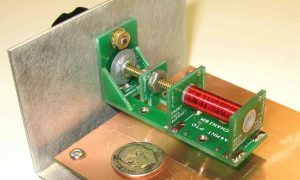 There are provisions for a separate optional winding on top of the main winding if your experiments or design requires one. 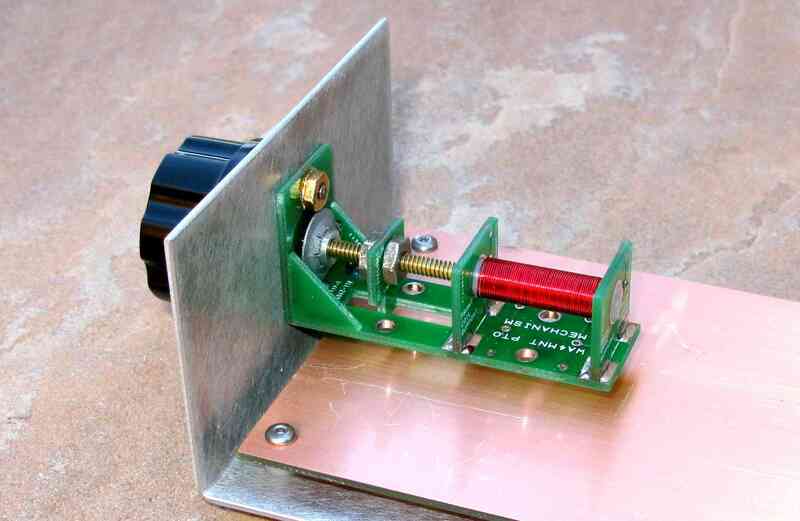 There are three mounting options, secured to a chassis front, mounted flush on a pcb, or mounted over a pcb with spacers to allow components to be mounted under the device. Consult the assembly manual. The device has a small footprint of 3/4″ wide x 3/4″ high, and about 2 1/4″ long. The kit comes complete, including the knob and chassis mounting screw. 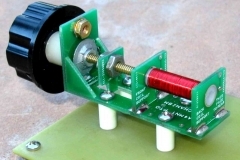 You supply the inductor wire for your particular project and #4 hardware if you need to mount it to a pcb. The assembly with knob weighs 30 grams.